Capacity in this sense refers to the energy we have available to study Chinese. It’s what we can potentially achieve at any given time. Thus, capacity is something that fluctuates over time and that will ebb and flow during a single day, week, month or even longer periods of time. This post is about how to learn Chinese faster by use the capacity we have to fulfil our potential (and not about where that capacity comes from, i.e. motivation). The capacity to learn is a combination between factors restricted to an individual learner (available time, energy, drive and so on) and factors largely determined by your environment (the availability of resources, teachers, social learning situations and so on). The relationship between these factors is very complex, but I’m going to group everything together in one concept and call that “capacity”. 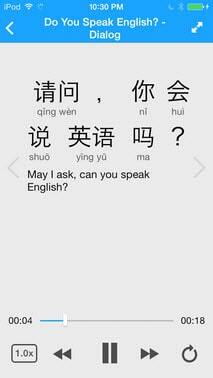 I’m also going to show you how this can enable us to learn Mandarin Chinese much faster. In my opinion, if we don’t manage our capacity well, two problems can arise. First, we can waste capacity by studying something which requires less capacity than we can actually cope with (underachieving). An example of this would be learning the basic meaning of new words with a tutor (wasting resources), reviewing vocabulary by your computer at home (wasting high-quality time) or staying at home with your textbook when you feel that you can conquer the world (wasting energy). If you don’t know why the above situations are really bad, you should definitely read this article. Second, we might fail to spread low-capacity tasks throughout the day, thus clogging up the high quality time we have with teachers, language exchange partners or free time at home. If we don’t spread our tasks efficiently, the problem of capacity waste above will ensue; we end up not making the most out of the learning opportunities we have. The general principle when trying to learn anything efficiently is to try to do as much as you are currently capable of doing. There are two key points here: ”currently” and ”capable”. Remember that I said in the introduction that capacity fluctuates over time? This is reflected by “currently”; it doesn’t matter what you’re used to being capable of, what you wish you were capable of or what someone thinks you ought to be capable of – what matters is your current state. Many factors influence this current state, including short-term and long-term, physical and mental factors. “Capable” means that you can actually accomplish whatever task(s) you have set for yourself. In other words, there is a limit to how much you can accomplish in any given situation. Again, that limit can be mental, physical or both. The point is that if you cross that line, some deleterious effects will be the result. As we can see, there is a line somewhere that indicates capacity. This means that we should aim towards staying as close as possible to that line, but on the right side. The consequences of failing depends on in which direction we err. If we aim too low, we will simply underachieve and learn less than we could have. If we grasp for too much and cross the line too often or by too much, we will burn ourselves out. Below, I will discuss both these scenarios and through a number of examples show how we can learn Chinese more efficiently by paying attention the our current capacity level. Before we do that, though, let’s answer the question why we should strive to stay as close to the line as possible. Why try to approach something which might be dangerous to cross? What is the ideal language learning situation for learning Chinese? I’m convinced that the most efficient learning takes place when we challenge ourselves in some way. I don’t mean joining an online challenge to read so and so many pages a month (even though that’s cool, too), I mean that we learn the most when we encounter things we aren’t already familiar with. This is why extroverted people tend to learn Chinese quickly. They feel less uncomfortable talking with strangers, meaning that they’re constantly in a (linguistic) environment they’re not familiar with. Consequently, they will learn a lot. However, this isn’t merely about speaking. It can be said for any of the four skills of listening, speaking, reading and writing (and indeed most other areas of learning I can think of). As long as we don’t crumble under the pressure, we learn the most when we are in difficult situation that requires us to improve. For instance, we can only improve our listening comprehension slowly if we always listen to people who use language we already know, who slow down their speech for us or who have ridiculously standardised pronunciation. The same is true for reading and writing as well; simply staying in our comfort zone will reinforce what we already know, but it won’t teach us anything new. Leaving the bubble of safety is demanding, but will be very rewarding. Let’s look at an example from my own experience of learning Chinese. I arrived in Taiwan in 2008 after having studied one year of Chinese in Sweden. That first-year course was well-structured, but it bore the hallmarks of traditional foreign language education all over the world, meaning that I couldn’t really speak any Chinese and had only heard a handful of different people speak the language (my teacher plus the textbook’s audio CDs). At the language centre here in Taiwan, I was placed in a lower intermediate class (using Practical Audio-Visual Chinese 3, in case that means anything to you). I remember feeling completely dazed after the first hours of class. I barely understood 10% of what the teacher said and the texts looked horribly difficult. But I had lots of time on my hands, so I bought the previous two books to study on the side. I also found a couple of local students to talk to and help me out. At the end of the semester, I understood 90% of what the teacher said and thought the texts we covered weren’t all that difficult. I had survived! The reasonable thing to do here and what most people do is to keep going. I didn’t. Realising that I was able to catch up with these students and to adjust to a higher level over the course of just a few months, shouldn’t I be able to repeat the same feat again? Since then, I have done at least three similar attempts at throwing myself into environments I really can’t handle. All attempts have been successful and I have learnt a ton of Chinese since then. If that means going full kamikaze like I did or if it simply means that you should choose harder listening and reading material now and then doesn’t really matter, the principle still holds true. Leaving your comfort zone is key to learning Chinese effectively and the more you do it, the better, with the only reservation that you shouldn’t overreach. What if we fail? What if we dive in and simply don’t learn to swim before the piranhas arrive? This is the second danger and it can be a very devious one. The thing is that even if I use the term “capacity” throughout this article, it’s not something that can be easily quantified; there is no energy meter floating in our field of vision like in some computer games. If we dive into something that is actually beyond our current state, we might burn ourselves out, we might stop learning for a time or quit learning Chinese completely. I have no solid advice to offer here, but paying attention to your stress level and how you feel is very important. Remember the old dictum from Delphi: Know yourself. Still, the results needn’t be that calamitous if we’re talking about normal study sessions and not entire courses or semesters. My example above was a long-term one, but the same principles are true for one-hour study sessions or lessons as well. If you approach a text which is too difficult or try to watch a TV show that is too hard for you, the only result might be that you feel a bit frustrated. This might add up to something serious in the long run, but it’s not really a problem right now. Lastly, we’re going to lay the foundation necessary for the last part of this article, which will be about distributed learning and why that will allow for much better capacity management, and, in extension allow us to learn Chinese more efficiently. We shall do so by returning to the example I mentioned in the introduction: If you review vocabulary in front of your computer at home or are learning the basic meaning of new words with your tutor, you’re doing something wrong. A promising new tool for distributed learning: FluentU’s smartphone app, which lets you learn from the web’s best Mandarin Chinese videos via interactive transcripts. As we have seen, the goal is to stay as close to our capacity limit as possible while paying attention to how we feel about it and not overreach. Therefore, if you are at home and have lots of energy to study Chinese, you shouldn’t waste that energy reviewing vocabulary. That’s a task that requires very little energy indeed. You should be learning new things! The same is true for the tutor situation. It’s an egregious waste of resources to learn new words with a tutor. That means that you’re spending expensive (both in terms of money and energy) time doing something you could equally have done more cheaply (again, both in terms of money and energy). You should use that capacity to do something more challenging, like building sentences, practising pronunciation or get feedback on your speaking ability. Exactly how much high capacity tasks (deep work, deliberate practice or whatever we choose to call it) you can do in one week obviously depends on what schedule you’re on, but the important thing is that you should never spend high quality time doing low quality tasks. Reviewing vocabulary when you could learn new words, listening to old material when you could listen to new, writing about a familiar topic when you could write about a new one are all very serious mistakes. Lastly, I want to highlight that I’m not saying that you shouldn’t do low quality tasks like reviewing, I’m just saying that you shouldn’t do them when you have the energy to do something more demanding. How do we accomplish large volumes of low-capacity tasks in a such a way that we can free up as much time as we can for the high-capacity tasks that is so essential for learning Chinese? As we have seen, we want to stay as close to our capacity limit as possible and avoid doing low-capacity tasks when we can actually cope with much more. To a traditional learner, this might lead to the following question: If we should always strive to challenge ourselves and move into new areas, how are we supposed to consolidate what we have already gained? What about reviewing? What about the endless small but menials tasks involved with learning? Questions like these are the results of a misconception about what learning is. For some people, learning a language means dedicating a specific amount of time each day to learn that language. Today, I’m going to study Chinese between eight and nine. On Saturday, I will study two hours. If you think of learning Chinese like this, the questions asked above are indeed very likely to arise. However, this is a very limited approach to learning Chinese. Rather than thinking of your week as seven days with a number of hour-long slots in them, think of it as a barrel. Large tasks that you have to perform are represented by rocks (work for instance) and smaller tasks are represented by smaller objects such as pebbles and grains of sand. Using this analogy, some aspects of learning Chinese are indeed rocks in your barrel; they take up a lot of space (time) and you need to plan ahead. These are the demanding, high-capacity tasks. When you’ve added a number of rocks, your barrel will be full. You’re too busy to learn Chinese, you don’t have the time to study more than you do. Nonsense! That conclusion is based on the illusion that studying Chinese only comes in the form of rocks. 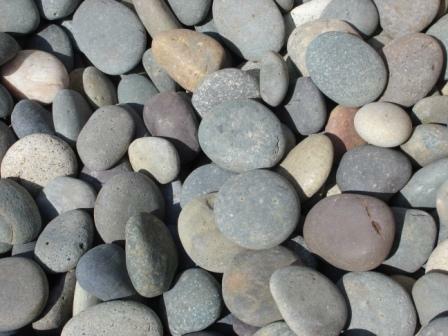 A barrel full of rocks can still fit a large number of pebbles. After that, grains of sand still slip easily between the pebbles. Even then, when the barrel really looks full, it can still hold a significant additional amount of water. FluentU’s smartphone app also has an intuitive audio player that lets you listen to everyday dialogues on the go with interactive transcripts. These tasks can often be seamlessly fitted into your normal routines. You don’t need to cut down on your jogging just because you start listening to a podcast in Chinese while doing so, you don’t do fewer push-ups just because you count them in Chinese, you don’t take longer to open the door just because there is a post-it note on it saying “門/门 and if you review ten handwritten Chinese characters while waiting in line to pay for your groceries, you don’t arrive home any later. It’s important to understand that even if these low-capacity tasks can be fitted in quite easily, some of them need to be planned for ahead. In order to listen to Chinese while jogging, you need to have suitable audio on your phone; in order to read a few sentences while waiting for the bus, you need to have a text already downloaded to your phone. Preparing for these things certainly takes up some time, but the returns make the investment worthwhile several times over. If you’re not used to thinking like this, let alone living like this, you shouldn’t try to add everything at once. Habits take some effort to build, but by having the right mentality and reasonable goals makes it easier. Start in one area and then expand, slowly adding different habits that will allow you to accomplish a lot of low-capacity tasks without actually spending more time. Compare this with someone who thinks that studying is something that you do for a clearly defined time and that less “serious” ways of studying don’t count! I hope this article has made you aware of the way you manage your capacity and that in the process you’ve learned how to learn Chinese more efficiently. To summarise, always try to achieve as much as you can without overreaching. Don’t add a pebble if you can add a rock, don’t just add water if you can add sand. At the same time, try to examine your daily routines and see where you can fit in more low-capacity tasks. Almost all people who do this find out that they have much more time than they think! Thanks for taking the time to explain it all. I wonder what your view is on the different writing systems. While in Taiwan, you use classical characters. While in the PRC , it’s abreviated ones. My study o Korean over the past decades is similar to your method and is effective. About writing systems: I would recommend learning simplified characters, because that is what mainland China uses. I think Alan’s suggestion is probably best for most people, but before you invest a lot of time and energy in learning you may want to think about this question carefully. Reading simplified characters after you have learned traditional is very easy, but going the other way around is much more difficult. So if you’d like to learn both in the long term, it may be better to learn traditional first. And if you have an interest in the characters themselves, or Chinese calligraphy, you will probably want to learn traditional characters. On the other hand, simplified characters may be a bit easier to learn. This is because they have fewer strokes, and because they tend to render better when you’re using a really small font size, like on a computer screen. Also, there is a relative deficit of material for adult learners in traditional fonts, though you can always go for native material targeted at a younger age group. Hi Eric, thanks a lot for the suggestion – I think those are very important additional considerations in choosing between traditional and simplified Chinese characters. IMHO Alan’s opinion is much too simplistic. If you’ve already studied a language that uses the longer-established full-form characters (such as Japanese), then it makes sense (i.e. makes it easier) to continue in the same vein with full-form characters. If you really intend to have more interaction with Taiwanese people than Chinese people, then it makes sense too. If you are passionate about aesthetics, art or history, then simplified characters won’t satisfy you. Of course, if you’re swayed by the vast numbers of Chinese people as opposed to those in most overseas ethnic Chinese communities or in Taiwan, then it makes sense to assume that simplified characters are “better”. A word of caution, though: how many people can you expect to interact with in your lifetime? I don’t know about you, but I wouldn’t even manage to get in touch with all of the local ethnic Chinese community, let alone consider the vast numbers of other Chinese-using people elsewhere. In a nutshell, ask yourself what you want to do with the written language and in what setting you want to use it. The people who I’ve learned Chinese with have mostly learned Chinese because of mainland China. So I was writing from that perspective.